Class will focus on designing for stained glass mosaics, introduction to different types of glass tesserae, surfaces suitable for glass mosaic, glass tools, cutting and shaping techniques, laying patterns, fixatives for glass and appropriate applications. 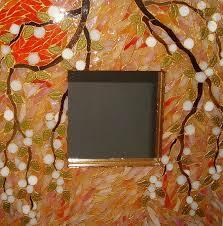 You will create your very own fine art mosaic, a 10”x 10″ stained glass mosaic mirror for interior display. No experience necessary, beginning and returning students welcome. 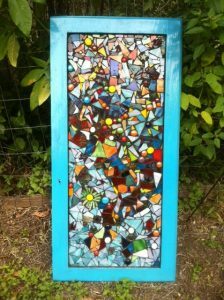 Class fee $165 includes: 4 week class, instructions, adhesives, all supplies, stained glass, adornments, mirror, and grouting. Note: pre-registration required: Need a minimum of 4 to hold class/ max of 8 students- so tell your friends and register soon! 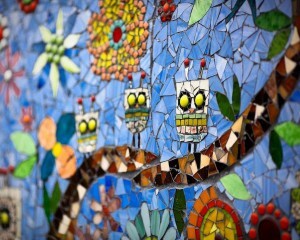 What could be better than Friday happy hour mosaics from 6-8pm and making some great art with friends new and old! 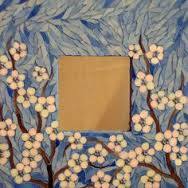 Create your own glass mosaic art frames. Class will last about two hours give or take. We have plenty of time to do a mosaic frame and visit. A blethra of beautiful stained glass will be ready for you to choose your own colors and design. So have a friend sign up with you and bring your favorite bottle of wine, we will provide bottle opener, snacks and cups. Class fee $55 includes everything: instructions, adhesives, all supplies, stained art glass, marbles, frame, and bobbles. 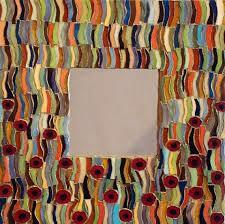 Class will focus on flow and color for abstract designing for mosaics. Introduction to many types of tesserae, surfaces suitable for mosaic, cutting tools, and shaping techniques, laying patterns, fixatives for mosaics and appropriate applications. 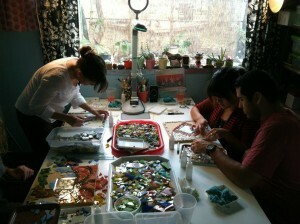 You will create your very own art abstract mosaic to take home and enjoy. Class fee $175 includes: 4 week class, instructions, adhesives, all supplies, tiles, glass,ceramics, adornments, project base, and grouting. No experience necessary, beginning and returning students welcome. In this fun four week class we will cover information on mosaics intended for exterior applications. Class will include information on substrates appropriate for exterior use and their preparation, fixatives, setting, grouting and sealing. This class is great for the beginners. We will be covering tools, cutting techniques, mosaic design and patterns. Also appropriate for the student who has already experimented interior or craft mosaics and would like to expand their knowledge to include exterior, garden or permanent installations. Students can create one or more stepping stones or flowerpots to take home. Class fee $145 includes: 4 week class, instructions, adhesives, all supplies, tiles, glass,ceramics, adornments, project bases, and grouting. Register early, have a friend join you, class fills fast and has a Maxium of 8 / Minimum of 4 students per class. Mosaic Classes are led by instructor, mosaic artist and art educator, Holli Brown who gives positive reinforcement and creative encouragement throughout the whole process, no experience necessary. 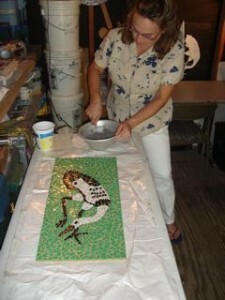 Holli has created both small and large-scale mosaics for over a decade. Her work encompasses everything from uniquely designed custom pieces to restoration and public art installations. She has simultaneously shared her love of this art form with hundreds of kids and adults through classes, seminars and private instruction. Please wear suitable clothing for working with tools and glues.